Home > News > What’s Your Ideal Air Conditioning Temperature? Summer’s here and you know what that means? That’s right, your annual workplace microclimate battle is well and truly underway! It’s time for summery short sleeve shirts for some, whilst buttoned up cardigans for others. The hot weather causes more air conditioning controversy every single year. Now we can’t tell you the optimal temperature for your workplace- believe us, if we could we would! However, as the thermostat tampering gets underway, we can tell you about the highs and lows of summer for your businesses energy bills, as well as some top tips and tricks to help keep your energy usage from getting too hot to handle! The AC, climate control, the cooling system… whatever you call it, air conditioning is the unspoken hero amongst workers, keeping you refreshed, day in and day out and making those summer heat waves bearable. Agreeing on a temperature that’s suitable for everyone may be an impossible task, however, the implications of this decision could be larger than you think. A consistent thermostat temperature not only stops your air conditioning unit working unnecessarily hard, but for every degree lower that your thermostat is set, it could be adding around 6% to your energy bills. 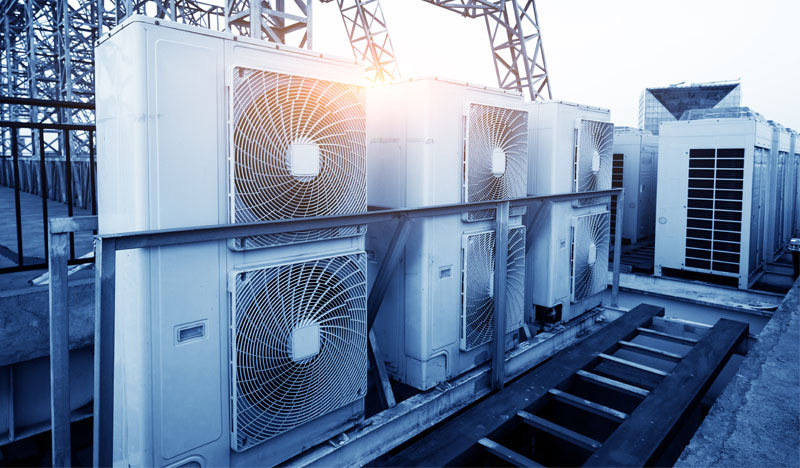 Ensuring your air conditioning is operating as efficiently as possible can help you to maintain better control over your businesses electricity usage. The Carbon Trust describe the issue of your heating and cooling systems competing with each other, the best way to deal with this is to keep a temperature gap (often known as a ‘deadband’) between your heating and air conditioning in order to control temperatures. Further information by the Carbon Trust states that air conditioning can not only increase a building’s energy consumption by up to 100%, but also its associated carbon emission respectively. Some simple, yet effective, tips to help the efficiency of your air conditioning are to ensure windows and doors are kept shut, as this will keep the temperature of the workplace is constant so that the air conditioning won’t have to battle the outside temperature; and perhaps most evidently, make sure that the air conditioning is switched off over night when no one is around to benefit from it! Cost savings aside, what does all this climate conflict mean for the productivity of employees? Workplace temperature is thought to be the single most cause of productivity drops with productivity dropping to as low as 85% at temperatures of 33°C! Whilst according to the approved code of practice the UK’s minimum legal temperature is as low as 16°C (60.8F). However, studies carried out by Helsinki University of Technology found that the highest productivity level is in fact at a temperature around 22°C (71.6F). Now don’t all go rushing to the thermostat just yet as this is by no means a universal standard; varying greatly, not only on the gender of your employees, but also on the occupation of your employees. Studies have found that when office temperatures increased from 20°C to 25°C (68-77F), typing errors fell by 44% and typing output jumped by 150%! Before you get too carried away with the temperature rises, it should be noted that above 27°C (80.6F) we’re not as good at mathematics! With this in mind, it may be beneficial to tailor your office temperature to the most productive setting possible for the task at hand, as warmer environments are generally better for creative thinking – whilst cooler environments are better for keeping people alert during repetitive monotonous tasks. As well as the energy and productivity benefits of finding that all important optimal workplace temperature, there’s enough time saving possibilities to keep your business ticking over into overtime. Human Resources Online say that on average employees spends 7.4 minutes a day adjusting the temperature in order to try and create a comfortable working environment, and we doubt that time is taken during a lunch hour! According to the BBC, workplace temperature adjustment time accumulates to roughly 2% of all office hours in the UK being wasted by battles for climate control, leading to serious financial implications which costs the economy more than £13 billion each year; making finding that optimal workplace temperature all the more important! At Yü Energy we understand more than anyone that for businesses time is money, this makes reducing that thermostat tampering time all the more important. That’s why we have a 3 ring pick up policy, meaning there’s always someone ready to help you out within three rings, so you can get on with your day and utilise every second of your time.